Gone are the days of bulky, royal-looking furniture. Nowadays, it is all about mixing and matching minimalist and contemporary types of furniture that don’t take up too much space and keep things simple. However, having minimalist and trendy furniture pieces is not enough for that much sought after clean look. 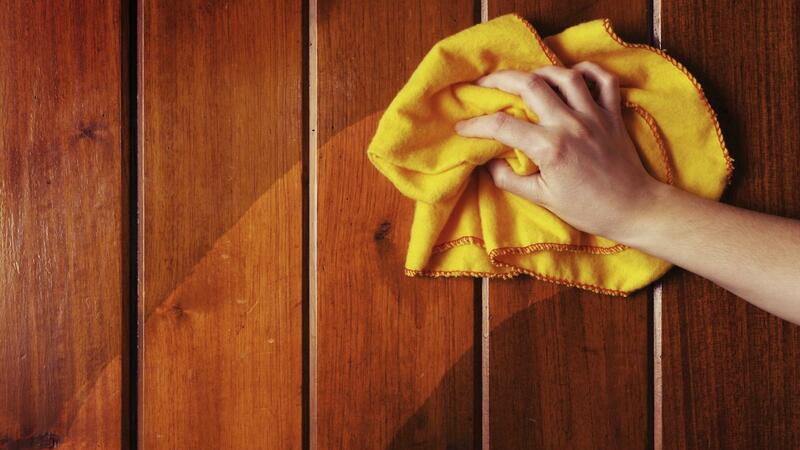 Be it wood, leather, wicker, or upholstered furniture, you need to keep it looking good as new for as long as possible, and this can be done by using proper cleaning products. The rule of thumb you need to adhere to is to keep any furniture piece out of direct sunlight and away from devices that emit heat, however, taking proper care and cleaning them on a regular basis is also important for preserving their beauty for years to come. So, let’s see what’s the right way to clean some different types of furniture. First, let’s go over wooden furniture since wood will never go out of style. This is the warmest, most pleasant, versatile and durable type of material. When it comes to the cleaning part, before you buy just any type of wood furniture cleaner, you need to determine the type of finish and then choose the proper one. However, since wood is a natural material, except for regular dusting, furniture specialist recommend opting for natural furniture cleaner and polish products as they can help preserve your wooden furniture pieces without harming the texture. In addition, regardless of whether you want to cover some scratches or stains, or you simply want to prevent cracking and fading out, it is highly recommended that you opt for a furniture cleaner and polish product that contains natural oils. Leather furniture, on the other hand, can be harder to maintain because leather can dry out pretty fast and is more prone to cracks when compared to wooden furniture. To avoid this, you need to keep your leather furniture away from direct sunlight and heat emitting sources, as well as clean it the proper way. All you need is a professional leather cleaning product or one that you can make yourself. Upholstered furniture needs to be vacuumed weekly in order to avoid dust allergies. If there are any spill and spots, you need to clean them ASAP, otherwise you will need to call a professional cleaning company to do the job for you. For that reason, it is always good to have a professional upholstery cleaning solution at hand and clean your furniture on a regular basis. If you have wicker or cane furniture, you need to keep in mind that both of them tend to dry out, so if you want to restore the natural fibres you need to spray the pieces outside with a hose or simply place them in a bathtub and clean them with a soapy solution and rinse thoroughly. And the last rule of thumb: dust and vacuum wicker and cane furniture regularly.